Task: to tell about the features of an online translation service. 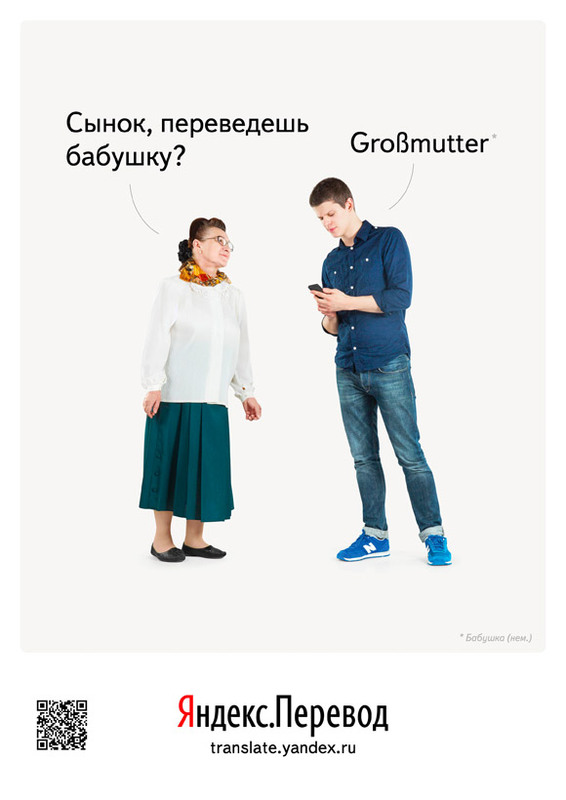 Fun posters hanging at Moscow universities let students know that the Yandex translation service is ready to translate absolutely anything into any language that it knows. The promo website lays out the features of the service in detail. 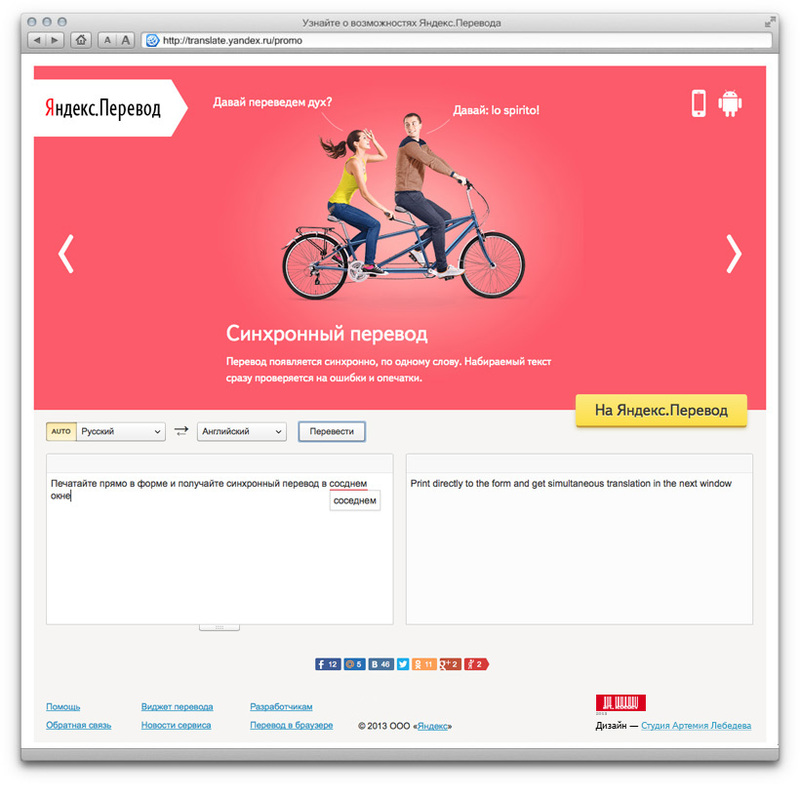 The service is advertised on the Yandex main page by recognizable teaser ads.